I've always had a place in my heart for Lancôme, ever since I tried my first of many Juicy Tubes, I knew they were special. For me, 2016 has been their year, with new releases coming at us so fast that it has been hard to keep up! 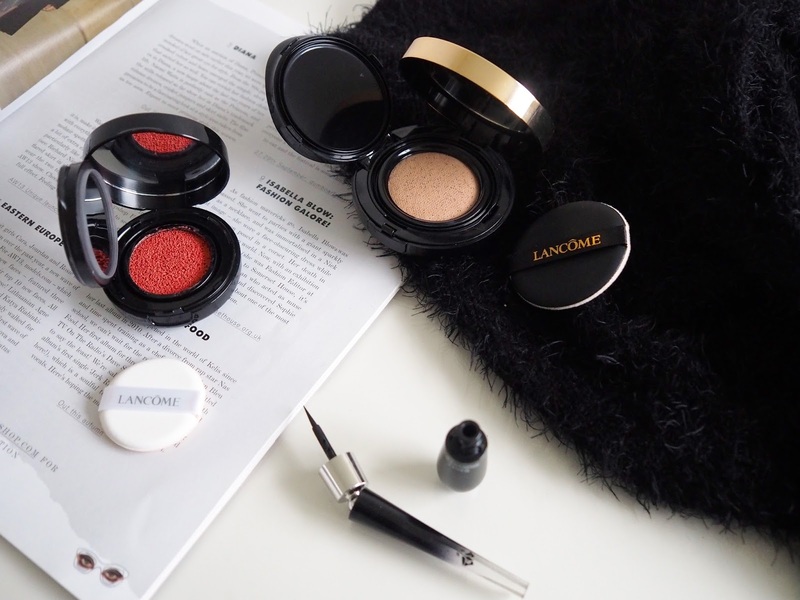 Over the past couple of months they have really been on top of their game with new products; the Teint Idole Ultra Cushion Foundation, the Cushion Blush Subtil blushers and Grandiose Liner. 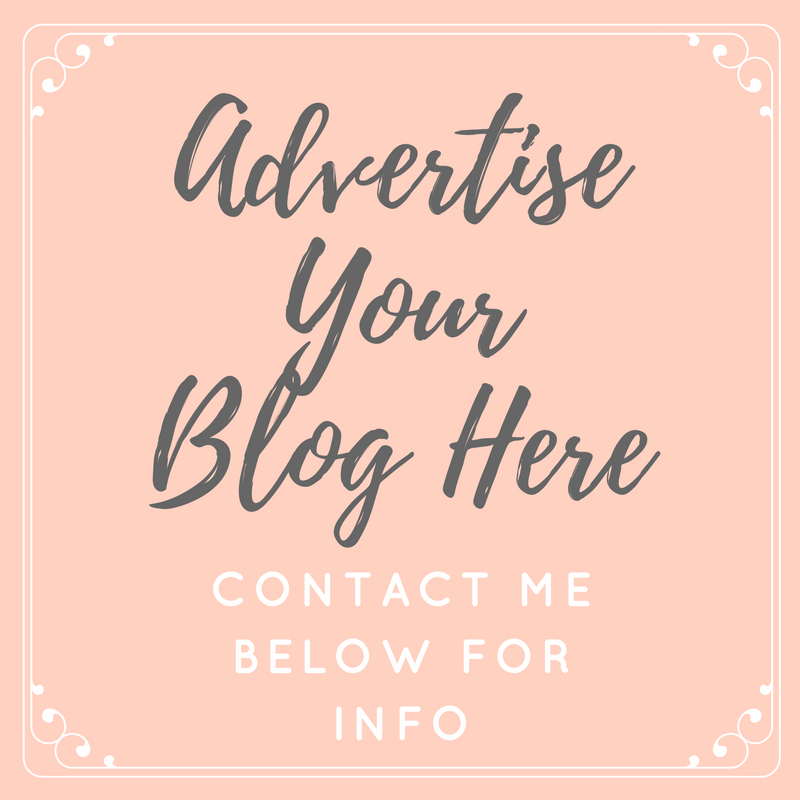 I have been trailing all three products for around four weeks now, and just couldn't wait any longer to share my views. The Teint Idole Ultra Cushion is another of the compact cushion foundations which seem to be taking over the beauty industry this year. It's packaged in a really classy black and gold compact which holds a mirror and puff sponge applicator for the product. The compact is actually sold separately to the foundation itself, and is refillable, so in the long run you will save money when repurchasing - always a bonus! The foundation itself is very much of a liquid consistency once pressed out of the sponge, and a little really goes a long way with this. I found that one press into the sponge was enough for my whole face, as it blends out so seamlessly on the skin. 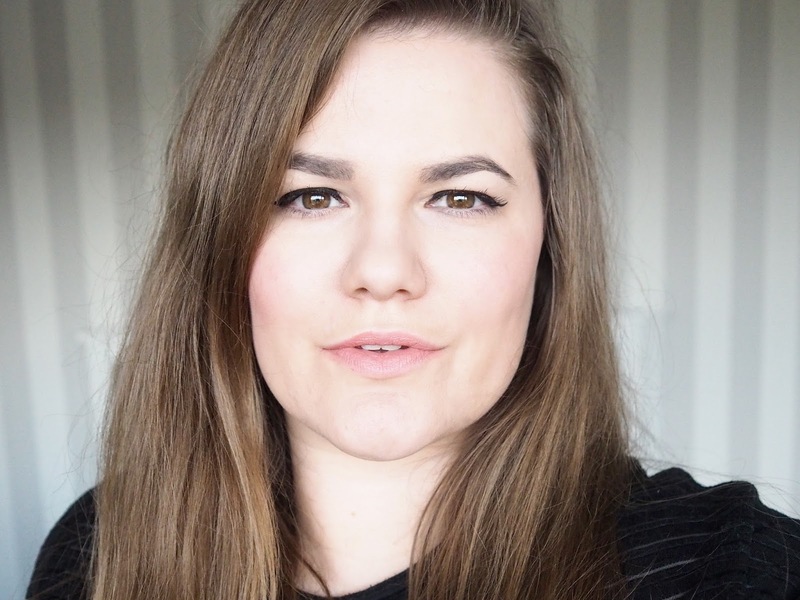 The formula of the foundation is said to be exactly the same as Lancôme's Teint Idole Ultra 24hr foundation but in a handier and more portable packaging, and although I've never tried it myself, I have only ever heard wonderful things. 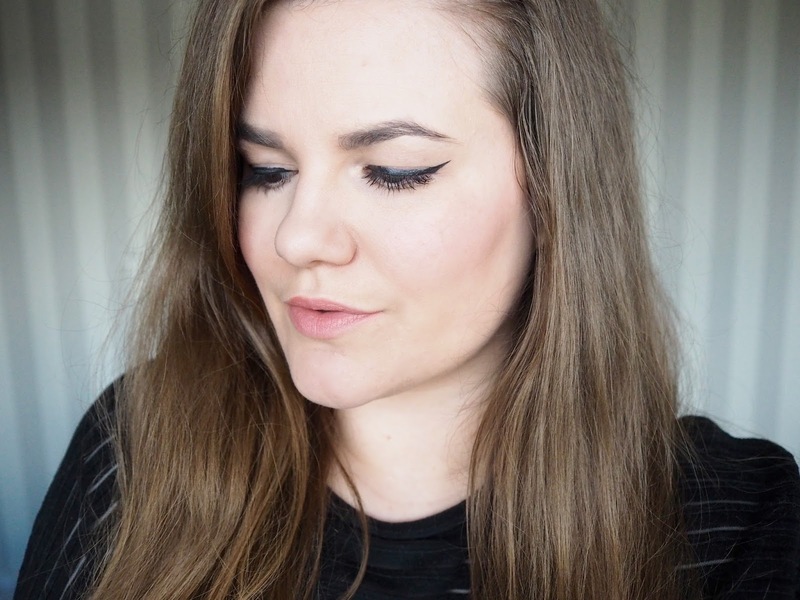 I find this foundation really comfortable to wear, it's hydrating and gives a beautiful glow and luminosity to my skin, which is something that I always look for with my base products as it makes my skin look so much fresher and younger. It's also long lasting and of a medium/high coverage while still feeling very lightweight. When wearing this, I find that I hardly need any concealer, it covers my blemishes and dark circles with ease on it's own. I have been wearing shade 015 Ivoire (which is slightly too dark for me, but still useable), one of eighteen shades available. 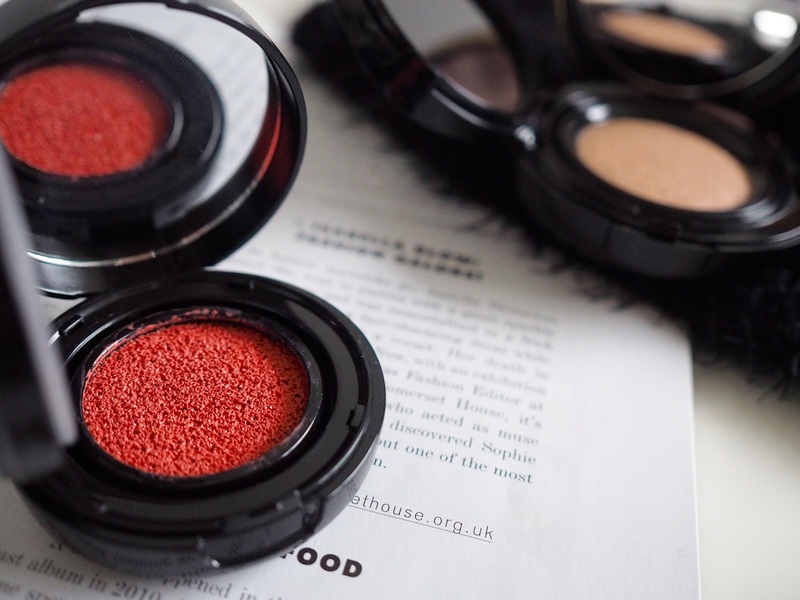 Another cushion compact product is the Cushion Blush Subtil, which is in similar packaging to the foundation with a mirror and mini puff applicator. And again like the foundation, this is very much a liquid consistency. 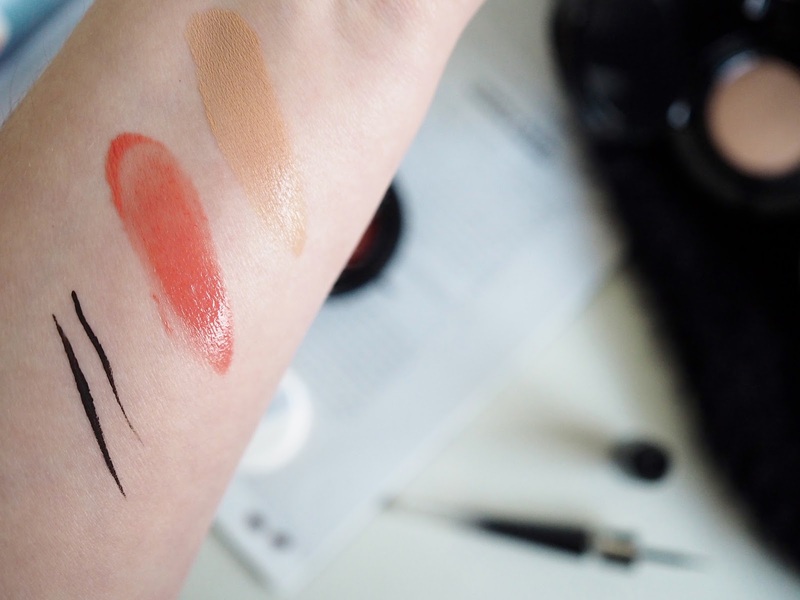 The pigmentation is really impressive and the colour can be built up on the cheeks or buffed out for a softer, more natural flush (which is how I prefer to wear it). On the cheeks this has a lovely bright, dewy finish to it which lasts all day long on my skin. As I also like to get the most out of my beauty products, I have been wearing this on my lips too, for a little lip and cheek coordination. I simply apply it to my lips with my finger and as you can see from the photos, it adds a subtle wash of colour and makes for a really pretty look. Available in 6 different shades, I have been using 025 Sorbet Grenadine a beautiful coral shade (see swatch photo below), which is a great colour for all year round. Unfortunately, you can't buy refills for this one, but the compact is available for £28. Lastly, the product which scares me the most; a liquid eyeliner! Not just any liquid liner though, the Grandiose Liner, which is a really unique and very impressive product. I say it scares me as I have real issues with eyeliner mostly due to my heavy eyelids making it really difficult to apply and master a perfect line or flick. This does make life a little easier though, and although it took me a while, from the pictures you should be able to see I did an okay job! 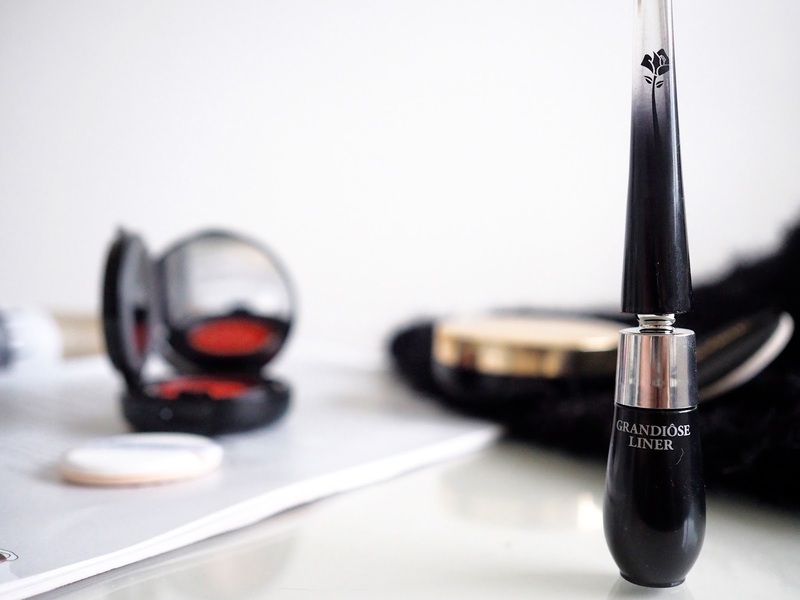 The bendable wand is unlike anything I've seen before and it makes holding the wand much more comfortable while allowing more control and easier access to the root of the lashes. If you're not a fan of the bend, you can use the wand straight. The actual brush is also incredibly thin and has slight movement to it, meaning it's easier to draw a very precise or thin line on the lids. 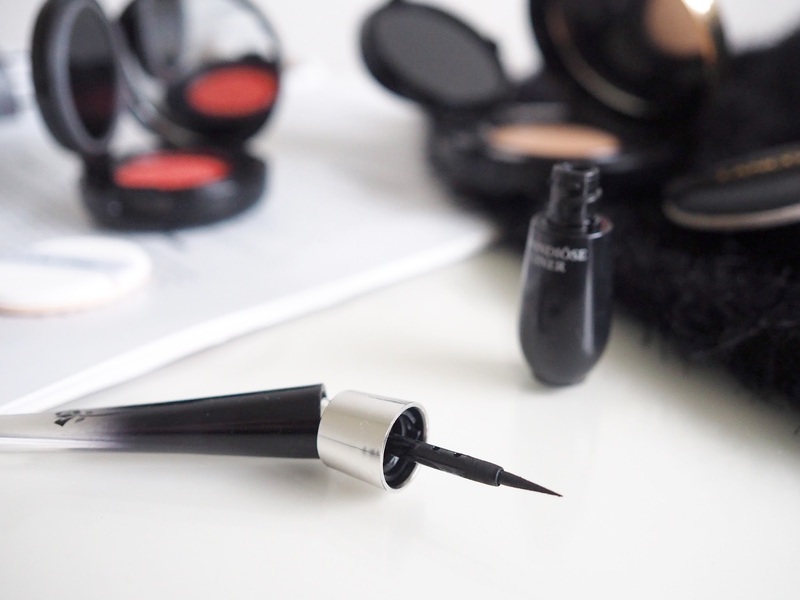 The liner itself has a matte finish and isn't too wet meaning there's no mess when applying. Although it has taken a little getting used to, I know this will be the liner I keep reaching for. Available in matte black, brown or sapphire for £23. To sum up, basically I love all three products. I'm definitely going to repurchase the foundation and I'll be trying more shades in the blusher too. 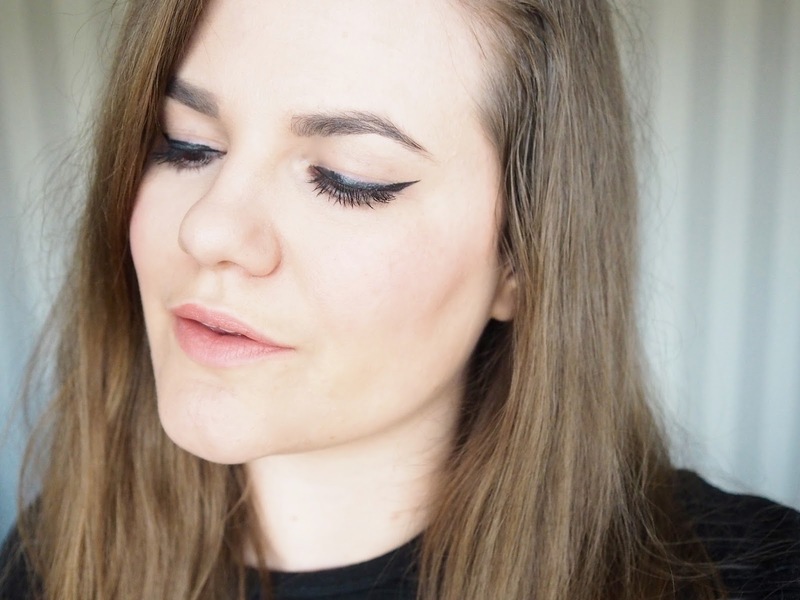 As for the eyeliner, I'm going to keep using it and keep practising my flicks... Hopefully I'll have them mastered soon! I am wearing all three products in all of the above photographs. 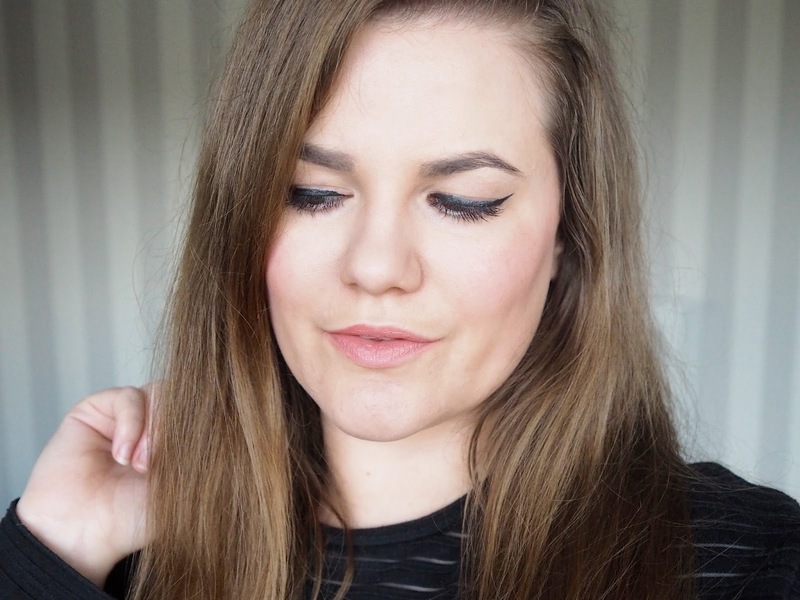 Such a fab post, your skin looks gorgeous! What puts me off is how quickly the products runs out, and the fact it's impossible to get a sample from a counter, when I spend more money on a base I like to trial it for a full day first. 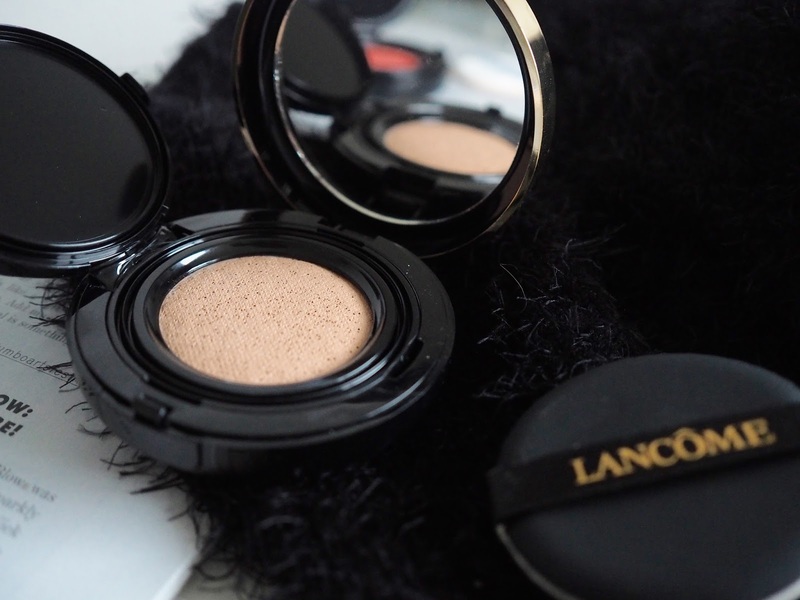 I have the L'Oreal cushion foundation and love that, so I will probably give it a go at some point! You should maybe ask for a sample of their other foundation, as apparently it's really, really similar!